Two of the most incredible voices in the music industry, one magical concert! 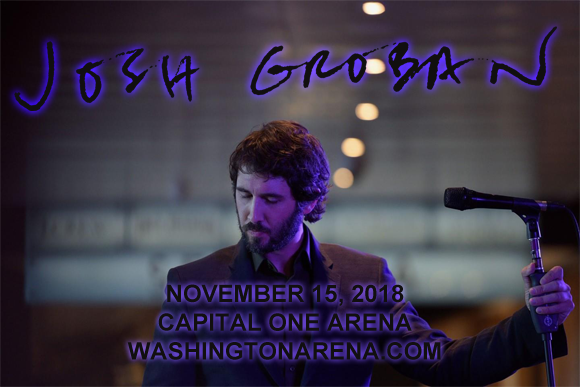 Heavenly baritone Josh Groban comes to Capital One Arena on Thursday 15th November 2018 as part of his Bridges Tour, and he will be joined for the evening by none other than Princess Elsa herself, Idina Menzel! These two unbelievably talented, award-winning performers are some of the most captivating and popular live acts in the world right now – book your tickets ASAP to avoid disappointment! Beginning his career in 1997, American singer, songwriter, actor and record producer Josh Groban's breakthrough moment came in 1999, when he was working as a rehearsal singer at the 1999 Grammy Awards. Groban was asked to stand in for Andrea Bocelli to rehearse a duet with Celine Dion and the host of the event, actress and comedian Rosie O'Donnell, was impressed and asked him to appear on her show the following week. Over the next few years, Groban began to have increasingly high-profile bookings, including an appearance singing on the Season 4 finale of Ally McBeal. In 2001, Groban signed to Grammy Award-winning producer and arranger David Foster's 143 Records, a subsidiary of Warner Bros. Records, and he released his eponymous studio debut album later that year. The album was a success, and, along with his three subsequent releases, was eventually certified multi-platinum. In 2007, Groban was charted as the number-one best selling artist in the United States, with over 22.3 million records sold nationally. To date, he has sold over 25 million records worldwide.